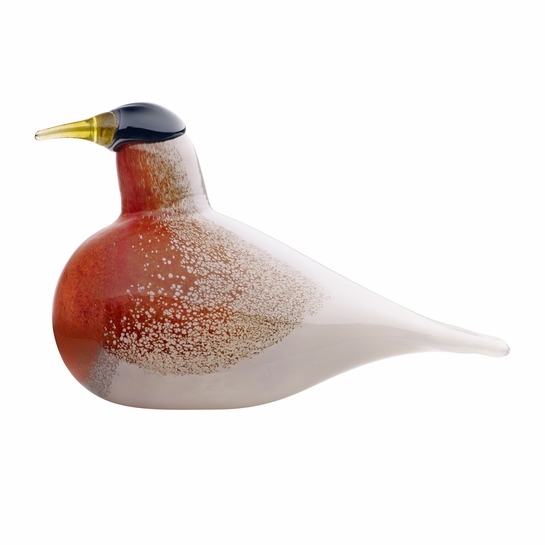 More about iittala Toikka American Robin Annual 2014 Bird Master craftsman Oiva Toikka immortalizes the American Robin in honor of FinnFest 2014, forever capturing its beauty in glass. Like its inspiration, his creation flaunts a radiant red-orange breast, blended with a blotted texture into bluish-grey wings. Its luminous yellow beak is held perfectly poised by a dark, distinguished head. With only 300 produced, each mouth-blown piece is etched with "FinnFest 2014 O. Toikka iittala" to remind you of its special story.